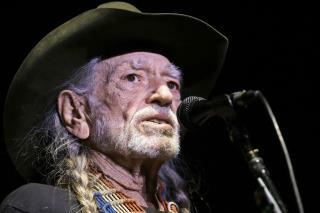 (Newser) – A free Willie Nelson concert in the heart of the Lone Star State seems like something that would attract fans of all political stripes, but there's a good chance the Sept. 29 event will feature a largely left-leaning crowd. That's because the country crooner is headlining a "Turn Out for Texas" rally in Austin for Beto O'Rourke, the Democratic challenger to GOP Sen. Ted Cruz, and many of Nelson's fans aren't happy about it, KTRK reports. Per Austin360, it's "the first public concert Nelson has held for a political candidate," the singer's publicist says in a release, though Rolling Stone notes he's put on private concerts for politicians in the past. "My wife Annie and I have met and spoken with Beto and we share his concern for the direction things are headed," Nelson says in the release. "Beto embodies what is special about Texas, an energy and an integrity that is completely genuine." THC in marijuana DOES KILL brain cells. Only a brain dead person would embrace the socialist views of the current democrat party. Socialism is a FAILED concept everywhere it has ever been attempted. Hopefully, enough people are aware that doing the same thing (socialism) over and over again and expecting different results is the very definition of insanity. Nobody likes fat-faced little piece of Canadian Bacon Ted Cruz who filibustered against Texans getting health care and is ashamed of anything about his hispanic heritage other than trying to exploit it to get votes. Beto is 100 times cooler and smarter than Cruz will ever be and should easily replace him if democrats get out the vote this time. It's all just a mobilization effort. No point in attempting to persuade low-fact, low-logic, no-nothing repugs. They will never be anything but brainwashed propaganda victims, just like Cruz programmed them them to be. WP Trumpublicans don't like that hot slap of reality... it makes them melt.